After spending five days exploring the vast untamed natural beauty of the Canadian Rockies in Banff and Jasper National Parks, we decided it was time to head into town for a couple of days worth of city fun, so it was off to Calgary. 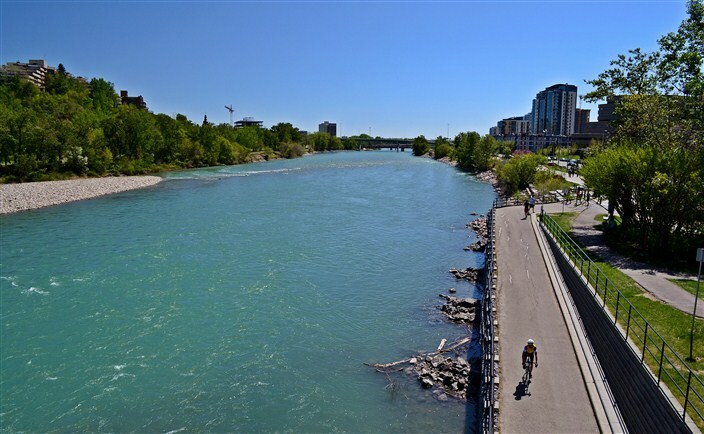 Calgary is Alberta’s largest city and the gateway to Banff National Park, which is only about a 90 minute drive to the west. 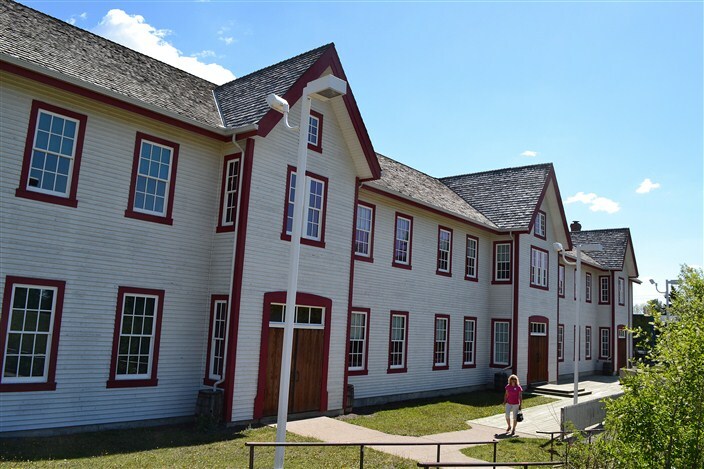 The town began life in the 1870’s as Fort Calgary, established at the confluence of the Bow and Elbow rivers as the westernmost outpost of civilization, primarily to bring some law and order to the wild frontier of western Canada. 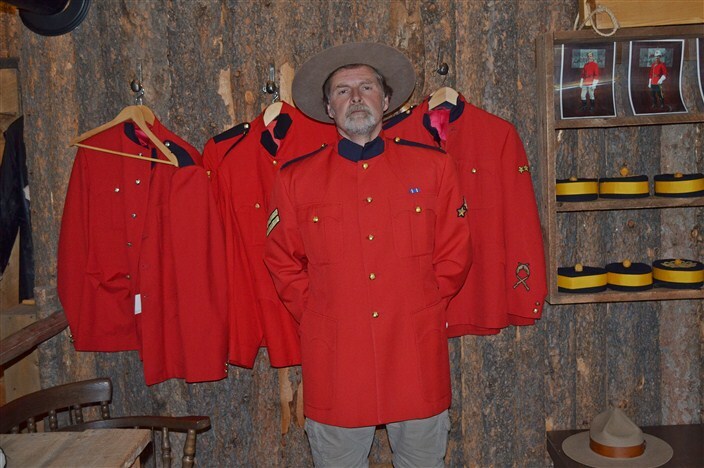 Prior to the arrival of Captain James Macleod and his force of Canadian Mounties in 1876, the area was overrun by whiskey traders and as lawless and dangerous as Tombstone, Dodge, or any of the more famous outlaw towns of the American west. Today, Calgary is a booming, bustling modern metropolis of 1.2 million people, making it the fifth largest metropolitan area in Canada. 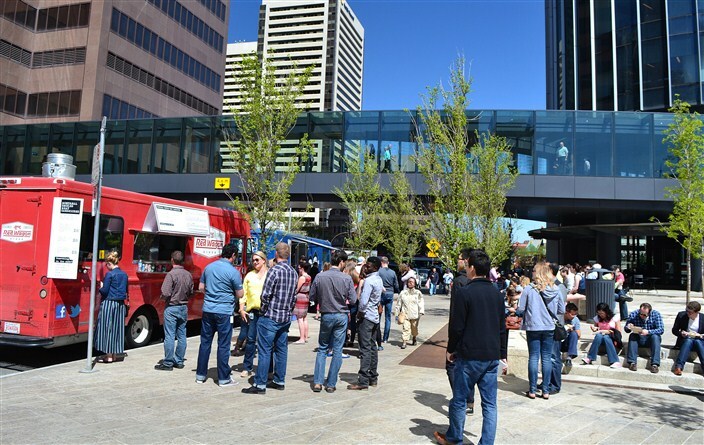 Calgary began life as a center of the agriculture and livestock industries – so much so that it still retains and takes pride in the unofficial nickname of “Cowtown”. 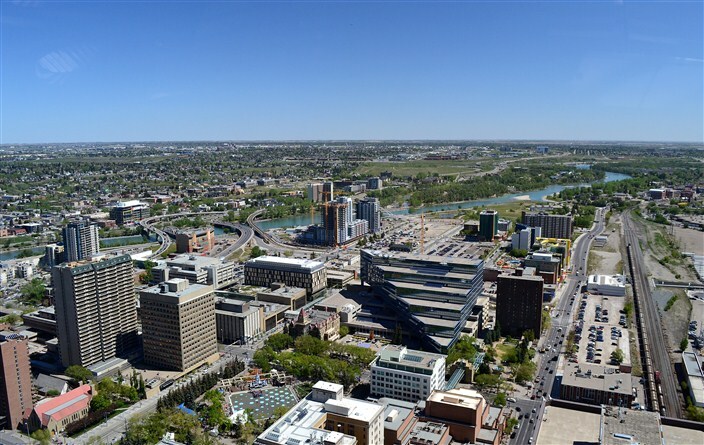 But since the discovery of large oil deposits in the region in 1947, the oil and gas industry has been the primary driving force of the Calgary economy. Like any economy reliant on one industry, Calgary has suffered boom and bust cycles with the ups and downs of oil prices. 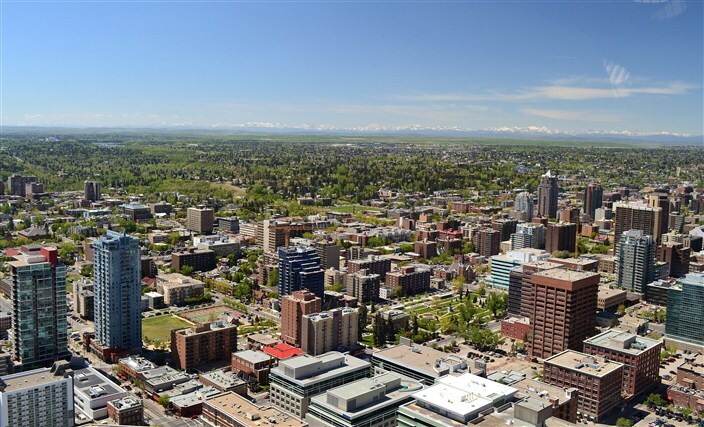 Calgary sits at the transition line between the Canadian Rockies foothills to the west and the vast stretches of rolling prarie to the east. Once you get outside the city it doesn’t take long to be right back in that expansive ranch country, an area of stark natural beauty which has often stood in for the American west in a number of notable Hollywood films. Among the films produced and at least partially shot in Calgary and vicinity are: Assassination of Jesse James, Brokeback Mountain, Dances with Wolves, Doctor Zhivago, Inception, Legends of the Fall, and Unforgiven. So, you’re in Calgary, what are you going to do? 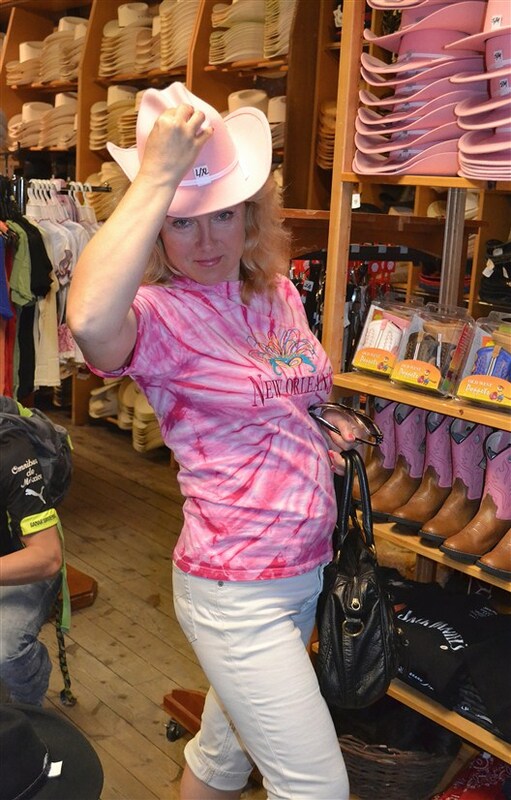 Of course the most obvious answer is the annual event held in July for which the city is world-famous: the Calgary Stampede, billed as the world’s largest rodeo. But don’t come anywhere near the place if you are averse to humongous crowds of people. It’s estimated nearly 50% of the city’s annual tourists come to town during the stampede, making you wonder if the event is named for stampeding cattle or humans. Don’t despair, however, if big rodeos or crowds turn you off. 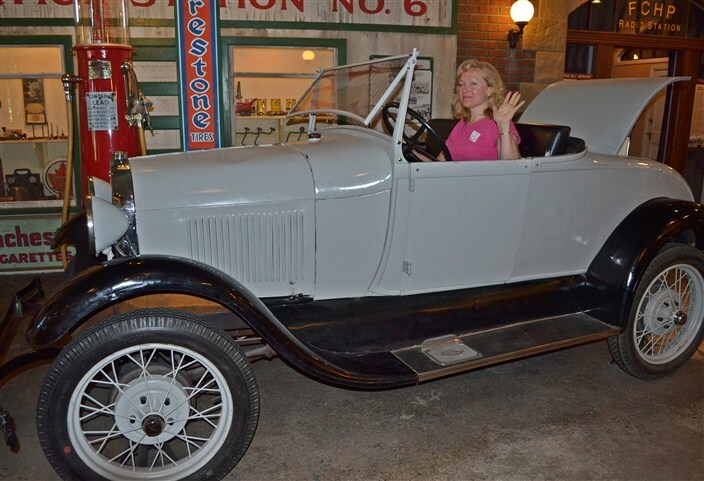 There are any number of other activities and sights to see in town besides cattle roping and wrangling. 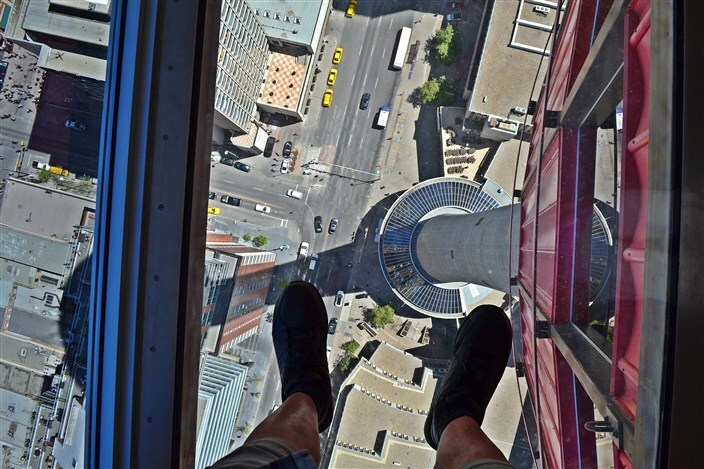 One of our first stops was to get a high-level, bird’s-eye view of the city and the best place to do that is the Calgary Tower. 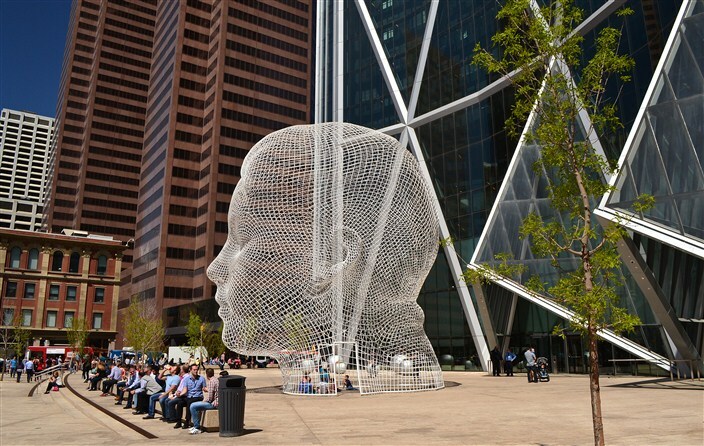 The Tower is a 191-metre (627 ft) free standing observation tower in downtown Calgary. Originally called the Husky Tower, it was conceived as part of an urban renewal plan and to celebrate Canada’s centennial of 1967. The tower was built at a cost of $3.5 million and weighs approximately 10,900 tons, of which 60% is below ground. 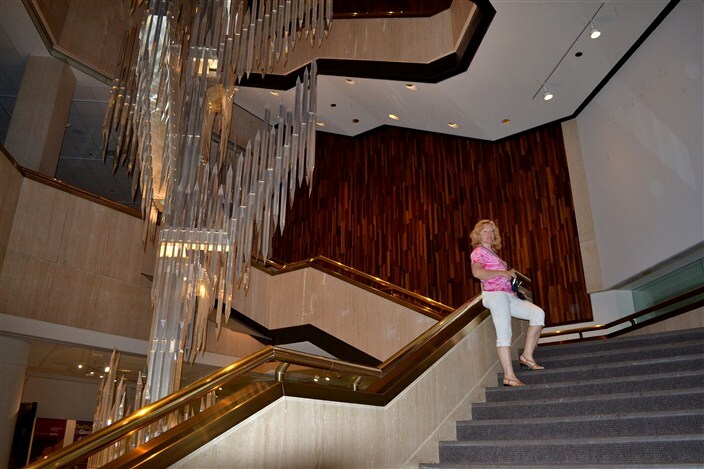 It opened to the public on June 30, 1968 as the tallest structure in Calgary, and the tallest in Canada outside of Toronto. 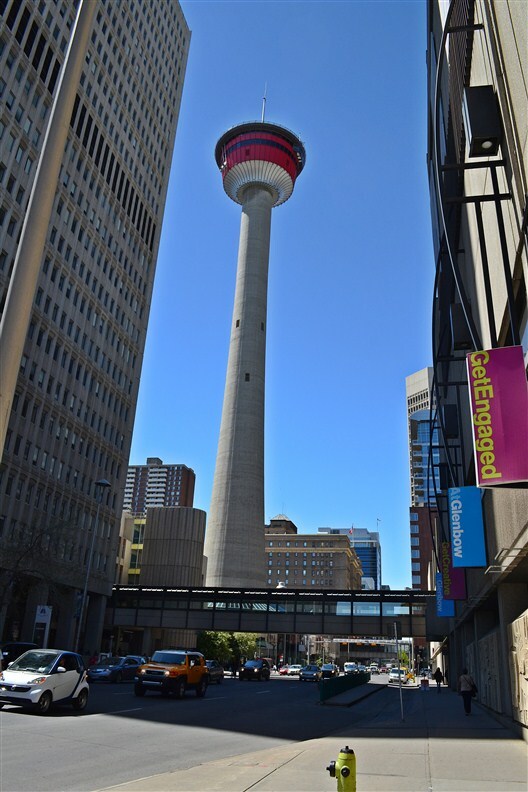 It was renamed the Calgary Tower in 1971. 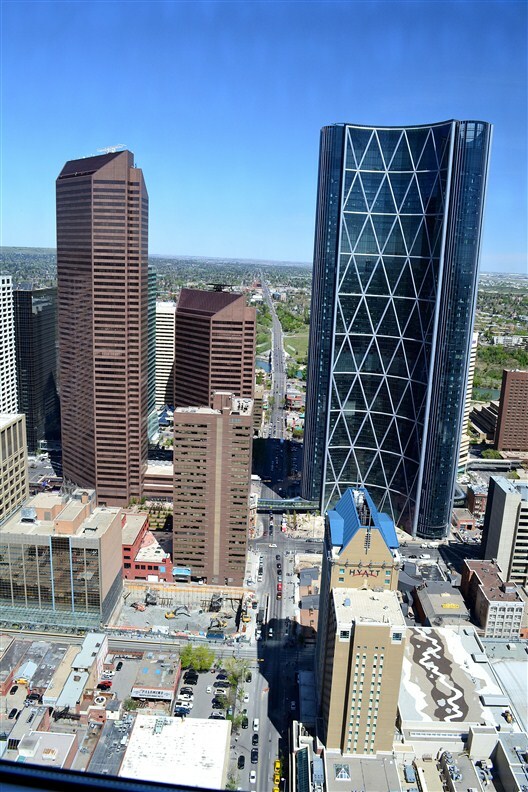 My primary reason for visiting Calgary Tower – other than a great view of the city and surrounding area – was to compare it to that other famous northwest observation tower featuring a revolving restaurant, the Space Needle in Seattle. Okay, full disclosure. Being an almost native Seattleite, I’m a little biased here. The main thing in the Needle’s favor in this contest is that when visiting the Space Needle you can go outside. The Calgary Tower’s observation area is fully enclosed and while it does feature a 360 degree walkaround view, it’s just not the same sensory experience as stepping out on the Space Needle’s outside deck and feeling the wind/sun/rain or whatever on your face while soaking in the panoramic view. And to be honest, Seattle’s just a prettier place. Nothing wrong with Calgary, mind you. The view is fine, but not many urban views anywhere compare to the one from atop the Space Needle. Just one man’s opinion. Calgarians might disagree. 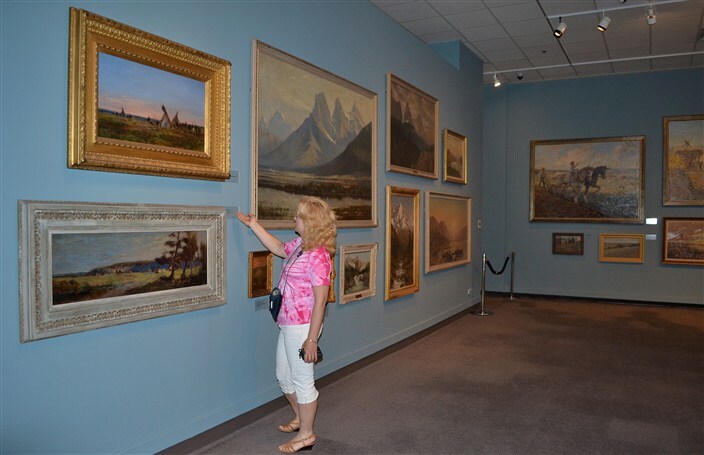 If you’re looking for some culture, The Glenbow Museum is the largest in western Canada and includes an impressive art gallery which concentrates on western-themed paintings and an extensive First Nations gallery of the native tribes of the region. The museum is only a couple of blocks from the Calgary Tower. 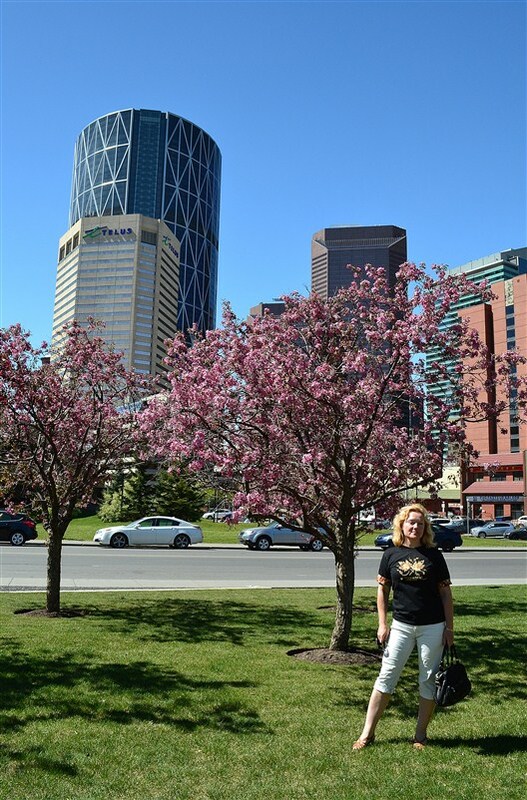 In fact one of the things we most enjoyed about downtown Calgary is the compactness and ease of getting around, so that seeing any number of attractions in one day is easily accomplished on foot. To connect many of the downtown office buildings, the city also boasts the world’s most extensive skyway network (elevated indoor pedestrian bridges), officially called the +15. The name derives from the fact that the bridges are usually 15 ft (4.6 m) above street level. One of the main reasons these were built is practicality – it gets damn cold around here in the winter and it makes it a lot easier to get around downtown when you don’t have to walk several blocks slogging through freezing snow, ice and slush. We strolled through the skyway for about an hour on a Saturday morning when it was basically deserted. 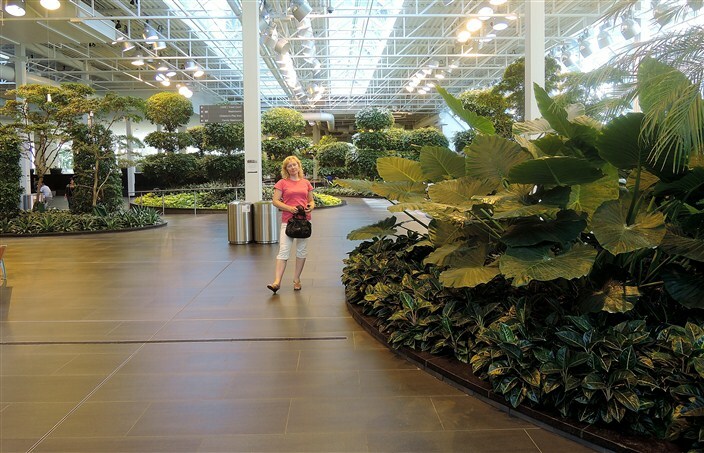 We felt a bit like rats in a maze, not sure where we were going to come out but it was fun and ultimately led us to one of the cooler places we stumbled upon, the Devonian Gardens, located on the 4th floor of The Core Shopping Centre, above the shopping. It’s one of the largest urban indoor gardens in the world, and it is absolutely amazing to see so many living plants in an indoor setting. It must be especially nice during the winter months to come inside and just spend some time relaxing amid the greenery. 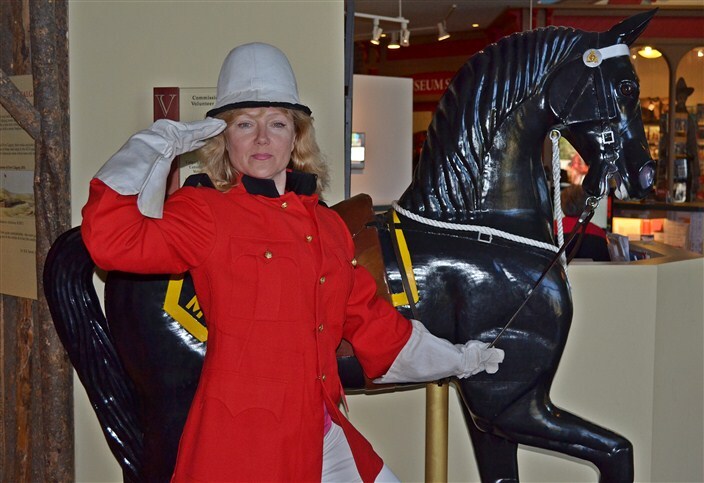 Another must-see while in town is Fort Calgary. This is the site of the original settlement by Macleod and his mounties in the 1870’s at the confluence of the Bow and Elbow rivers. Although nothing remains of the original buildings themselves, an impressive reconstruction has been done on the large sprawling grounds, now a city park. 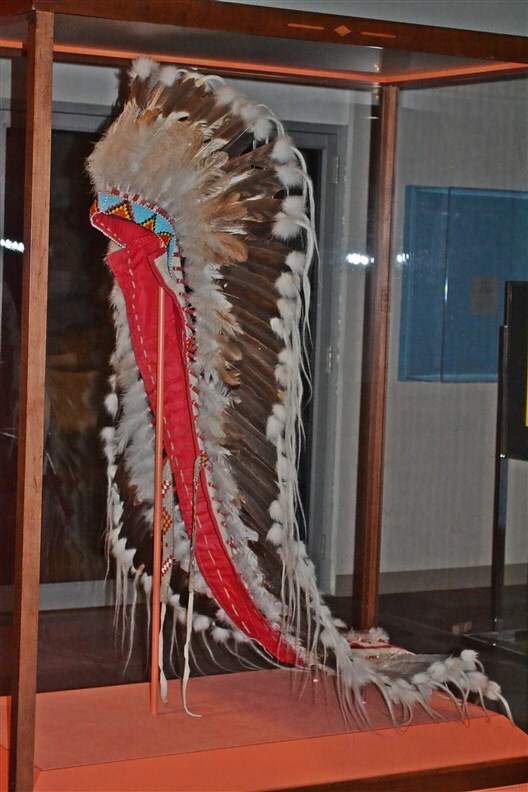 Inside the main building is an informative and thorough display of historical photos, artifacts, and audio-visual content detailing every aspect of the city’s history from first settlement to recent times. It’s well worth a couple hours of your time. 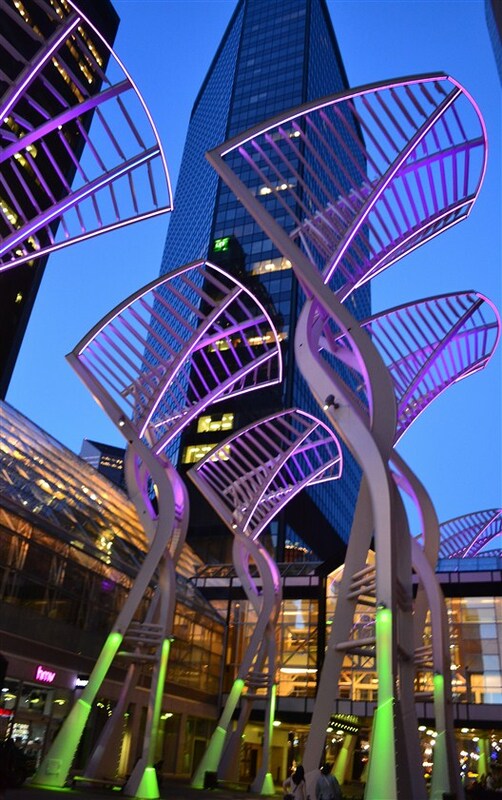 If you’re looking for nightlife, Calgary affords you plenty of opportunity for that as well. 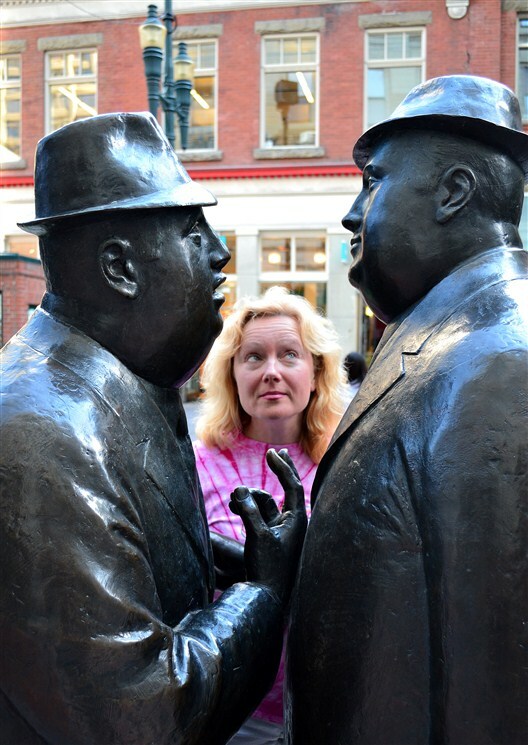 We spent Friday evening wandering the main downtown streets and found a myriad of restaurants and bars that were literally hopping – most of them a little loud for my taste, but the mostly younger crowd seemed to like it that way. All in all, everyone we met in Calgary was friendly (Canadians are like that, eh?) and helpful and it was a great place to spend a couple of days. If you’re ever in Alberta, don’t pass by Calgary without checking it out. We’d go back.